THE FINE BALANCE: Chips? Yes Please! I have a serious case of munchies pretty much at the 2 or 3 PM mark. Usually a handful of Tamari flavoured almonds tide me over until my meal at 5 PM. I couldnt believe how tasty and wonderful these turned out! and I swear it really is egg whites! AND they actually taste like chips and satisfy that crunchy salty tooth. 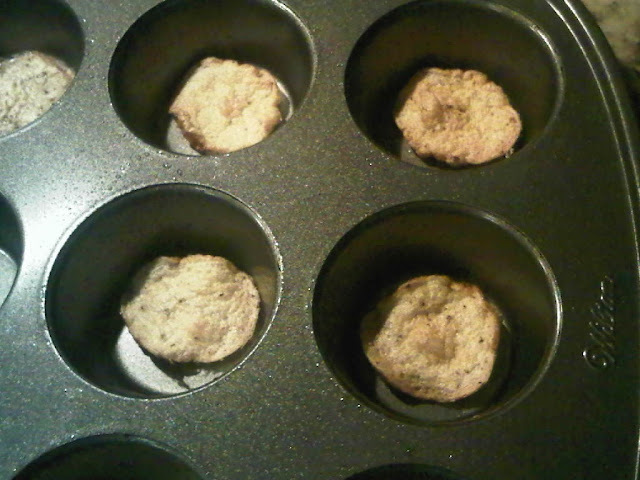 Mix all of the ingredients together, put a thin layer at the bottom of muffin pans, bake and enjoy! Best guilt free snack ever! Yes!! I've been waiting for you to post this. Can't wait to try 'em! P.S. We are having a giveaway over on our blog for a personalized necklace. If you have time please stop by and enter. Lol let me know what you think! Oh my goodness.......those look fantastic! Definitely going to try. Your blog looks great, by the way! They're amazing! I couldn't believe how great they turned out! Thanks! and let me know if you like them! That is exactly the time of day when I get the munchies! I have to keep a Special K or Kashi bar on hand. Mmm I'm trying to eat healthier so I will have to try these out- yum! I will definitely try this! I've been really into making good snacks so much lately, this looks quite easy. Egg whi chips? I'm very skeptical, but I'll try anything once - thanks for sharing this very unexpected snack! Whaaaaa?? I need to try these IMMEDIATELY! egg white chips? Ive never heard of such a thing. I believe you though and will try this one day. I've never heard of it but I'm definitely going to give it a go. I'm always looking for a great creative way to sneak something healthy into my kids diets as snacks. i kept them for a few days but they disappear because they are so yummy! Wow what a smart idea!! Beautiful blog darling!i adore your style and work here! btw, i'm your newest follower now via gfc and bloglovin.hope u can check out my blog and return the favor if u like. That is a brilliant idea hun! I am hungry all the time and office food is rarely healthy! I love salty snacks - thanks for posting! OMG really??? I'm in shock lol. I'll try it. haha I have the munchies everyday at around 3-4pm mark, I try to eat a bowl of cereal for them now!